I know I've been talking about our kitchen's face lift for a while now, and it really is just about done. But taking photos and showing them here would require a bit more staging and cleaning than I'm prepared to do at the moment. Which is none. So instead of a full-blown kitchen reveal, here's one of the projects Keith and I worked on to give the space a little bit of personality (and to cut costs). 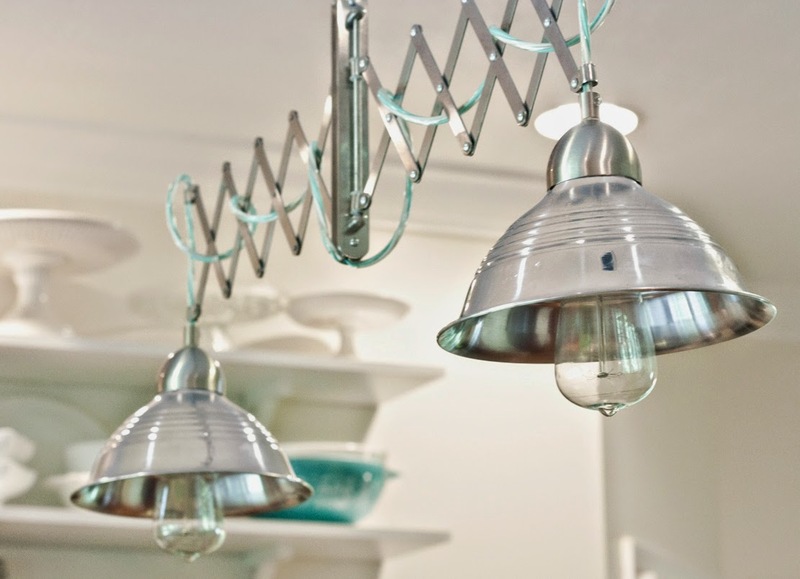 I fell in love with accordion light fixtures like this, this, and this, but quickly determined that they were way out of the budget for our almost-no-budget kitchen makeover. 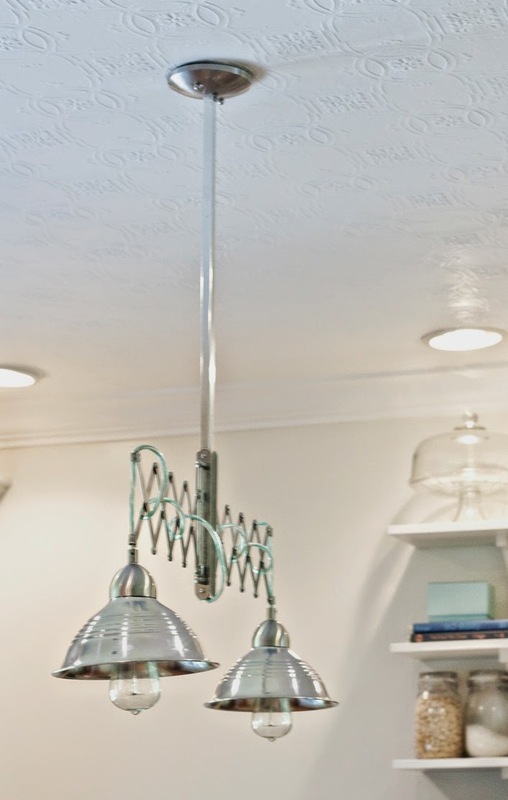 So with two fracks, two pendant light kits, a replacement towel bar, and two aluminum workshop lights, we came up with this. ...and the kids, too. 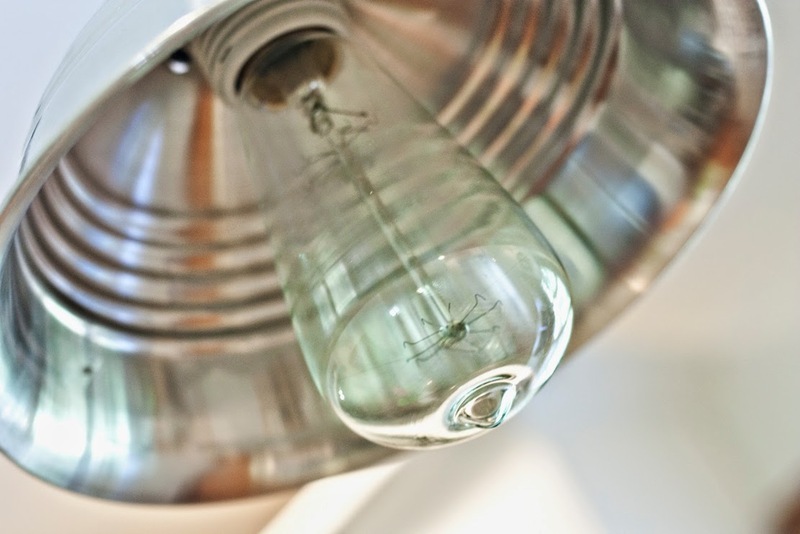 Their favorite part is the "spider" that lives inside the light bulb. Maybe I'll get motivated to clean and photograph the rest of the kitchen soon, or maybe I'll wait 'til the kids are back in preschool and I have three mornings a week to get stuff done. My bet is on the latter.